Weekly USA commodities&pork prices for pig producers. • US lean hog futures were higher. 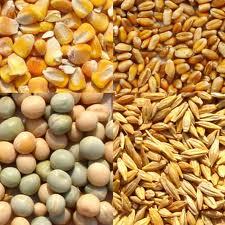 • Corn futures were slightly higher, soy complex futures were mostly higher and wheat futures were mostly lower. • The value of the US dollar against the euro was slightly higher. • Crude oil futures were higher. • New York gold futures were slightly higher. • US stock indexes were mostly higher. • European stock indexes were higher. • Asian stock indexes closed mostly higher. • US lean hog futures closed lower. A glut of heavy-weight hogs and higher-than-expected supplies of pork continued to drag on lean hog futures prices. February lean hog futures retreated .975c, closing at 85.650c a lb. • The cutout value for a pork carcass weighing 205 lbs. eased .15c closing at 90.83c a lb. Cutout values were sharply higher for ribs and higher for butts and bellies. Cutout values were lower for loins, picnics and hams.